This site uses a lot of calls to Google APIs in order to connect Excel to web applications. There are a number of custom classes used everywhere such as Data Manipulation Classes and Excel JSON conversion which are tailored to friendliness with web applications. Here are a selection of articles and examples where you can see and download examples of web service interaction using all of these classes, but the best place to start is probably with the examples in the cDataSet.xlsm workbook. 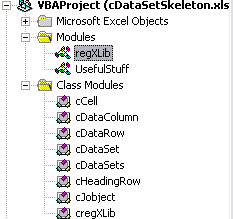 If you just want the main utility classes used throughout this site, in the Downloads section cDataSet.xlsm includes everything you need including some examples. Here's what you need. Questions and feedback are always welcome at our forum.